Kotobukiya brings a bold new direction to their popular series of Bishoujo Statues with the Freddy vs. Jason pair up, and following after Freddy is a new character interpretation by Shunya Yamashita of the slasher JASON VOORHEES! The Friday the 13th series began in 1980 with murders at Camp Crystal Lake, though it wasn't until the third sequel that Jason put on the famous mask and took matters into his own hands. Through successive sequels Voorhees would leave a trail of bodies from Crystal Lake to Manhattan, to hell and even to the future before coming into conflict with Freddy Krueger in Freddy vs. Jason. 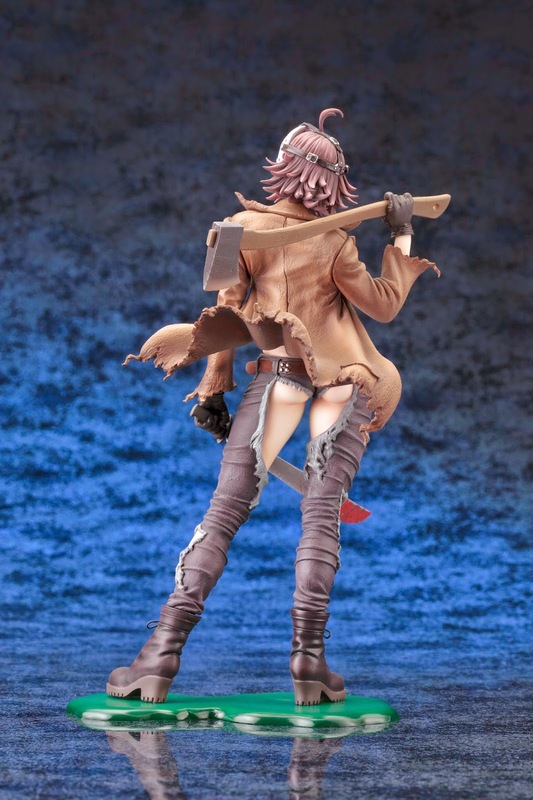 Yamashita and Kotobukiya’s version of the slasher takes its inspiration from Jason’s on screen look but mixes in a beautiful girl in the bishoujo style. Voorhees stands in a relaxed pose in her tattered pants, top, and jacket with the iconic machete in one hand and an axe held over her shoulder. The scraps of her clothing reveal quite a bit of skin and her muscular physique, while her cute face is partly obscured by the nightmarish hockey mask strapped to the side of her head! Sculpted by Takaboku Busujima (Busujimax), Jason stands over 8 ½ inches tall (1/7 scale) on a specially designed base. She’s a totally unique addition for your collection, and the perfect companion to the Freddy Krueger Bishoujo Statue! Both figures will be available in November of 2014 with a price tag of $69.99 per statue.